CALL TO ACTION – March 8th Free Women Political Prisoners in Nicaragua! Free Women Political Prisoners in Nicaragua! This is a call to action in solidarity with women political prisoners in Nicaragua, who have been criminalized, persecuted, judicially prosecuted and convicted since April of 2018. During this time as many as 102 women human rights defenders, feminists, student activists and community leaders have been arbitrarily arrested by police and paramilitary groups, 63 of them continue in prison. 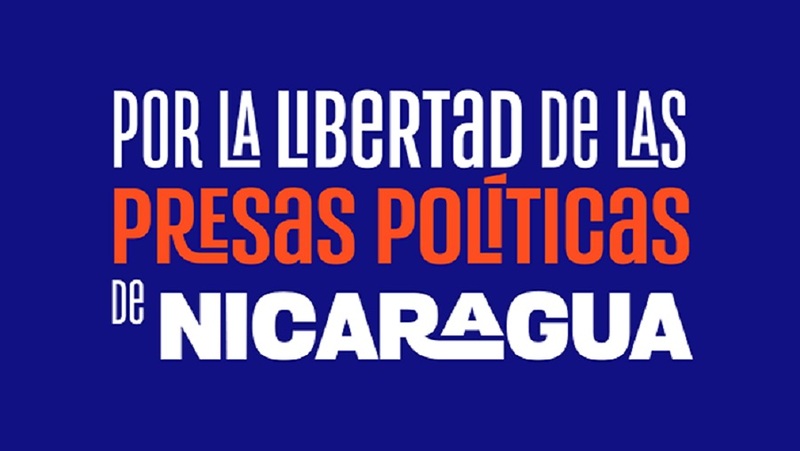 The criminalization points to ideological motivations and grounds of conscience in the context of the government campaign of repression against human rights organizations, independent news media and grassroots social movements that are critical of the Daniel Ortega regime. . This March 8th, collectives, networks, organizations and feminists throughout the world are launching the #SetThemFree Global Campaign to Free Women Political Prisoners in Nicaragua, a campaign that will continue until ALL are released with all of their rights restored. We stand in rebellion and shout out against the torture, cruel treatment, beatings, humiliation, sexual violence, isolation, and harassment received by our sister comrades during their imprisonment. How can you join in the campaign? Spread this call to action among your contacts. Carry a sign, placard or banner to demonstrations in your city with a message demanding freedom for these women political prisoners. Post an image or video in your social networks demanding freedom for the women political prisoners with the hashtags #SetThemFree and #SOSNicaragua. Share informative pieces in your social networks about the situation of the women political prisoners with the hashtags #SetThemFree and #SOSNicaragua.